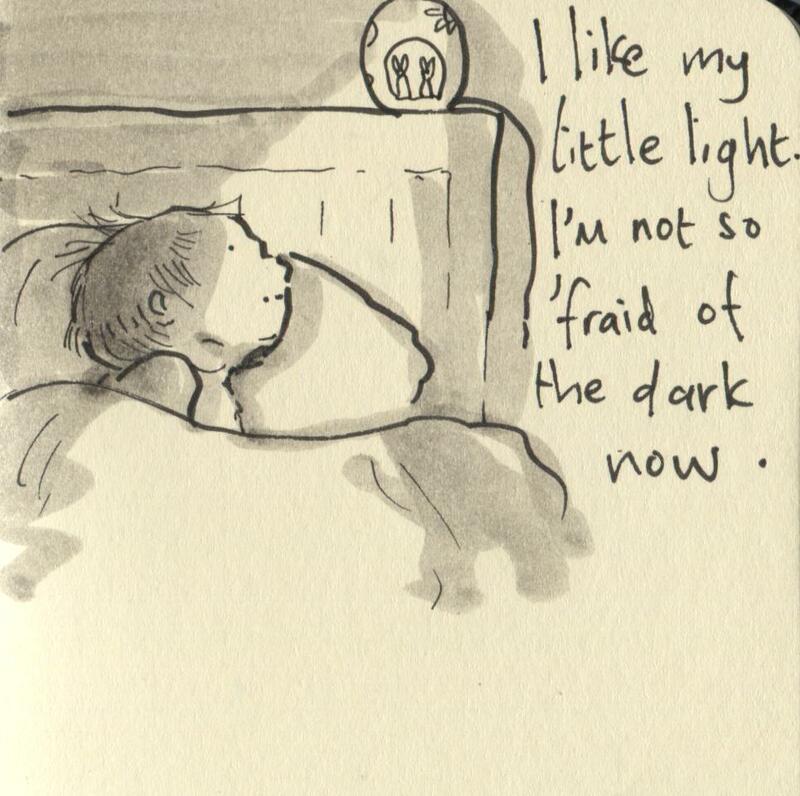 …when you’re scared of the dark. Posted on May 7, 2014, in Uncategorized and tagged Children, Doodlemum, Drawing, Family, Humour, Illustration, Life, Pen and Ink, Sketchbook. Bookmark the permalink. 9 Comments. I’m still afraid of the dark… So I keep a night light too. Is it massively sad that I’m 31 and have a little light? Yes, yes it is. I’ve answered my own question. Night night! I’m still afraid of the dark. I have to have my tv light on in the night. This was very moving. … except now we understand that even the smallest amount of light affects the function of sleep.